Mark began selling life insurance while a student at Lewis and Clark College in Portland, Oregon. In 1977, he entered into the financial services industry part time and has been in the industry ever since. 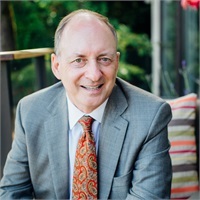 In 1982, he and his father created the partnership known today as Rosenbaum Financial, Inc.
Mark has earned numerous honors and awards throughout his career locally and nationally, most recently being awarded the National Association of Insurance and Financial Advisors 2015 Oregon Senior Agent of the Year Award for outstanding leadership to the industry and community. He is also a Life and Qualifying Member of the Million Dollar Round Table and a member of the prestigious Top of the Table, which is an exclusive forum for the world’s best life insurance and financial services professionals – committed to providing exemplary client service while displaying the highest standards of ethics and professional knowledge. As President and CEO of Rosenbaum Financial, Mark is responsible for the overall financial success of the firm’s clients and the company. The firm’s annual compounded growth rate of 8.5% for the last decade is testament to the confidence and trust of our clients. Virtually all our new clients come to the firm as referrals from existing clients. Our clients expect the highest standards of performance and service within a warm and welcoming environment. Our team’s top objective is understanding our client’s needs and expectations. There are no “cookie cutter” approaches to our work and there are no short cuts to maintaining and growing long term relationships. It requires caring on the part of our team and deep knowledge of our clients’ needs and goals. Rosenbaum Financial has access to the latest software and analytical tools in the industry. With a dedication to diverse investment opportunities we have developed a proprietary approach to analyzing, making and adjusting our investments. The RF approach focuses on risk adjusted returns and carefully matches risk and reward profiles for each clients’ individual and inter-generational objectives. Rosenbaum Financial seeks ways to provide leadership and service to our community. Fred lived this expectation and he serves as an inspiration as we continue this work. Mark is a board member and past Chair of the Portland State University Foundation Board and board member and past Chair of the Tuality Community Hospital board in Hillsboro. He also serves as a board member and past Chair of the Camp Rosenbaum Fund. He is the former Chairman of the Portland Development Commission and past Chairman of the Multnomah County Commission on Children and Families. He began his community service as a board member of the Oregon Region of the National Conference of Christians and Jews serving as Co Chair from 1983-86. He has also served as President of the Jewish Family and Child Services, Vice Chair of the State of Oregon Welfare Review Commission and co-founder of Oregon Mentors.